The odd-ball is Nikon, which at least here in the US seems to have gone from the “we brought way too many products into inventory” position to the “we didn’t bring any products into inventory” position. 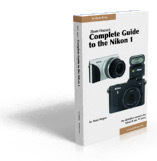 NikonUSA is still dealing with J1, J2, J3, and S1 inventory from as much as three years ago. So for those cameras there was way too much supply for the demand. Meanwhile, the AW1 and V3 are rare sightings at Nikon dealers here in the US. Now there’s more demand than supply. Someone is jerking the wheel around while trying to drive a straight line ;~). Personally, I think the deals will heat up in June. As the fiscal quarter for all these companies comes to an end, most of them are going to be desperate to show some signs of life in their camera sales. For most, it’s the first quarter of their fiscal year, too, and many will be showing year-to-year declines in sales.